We are thrilled to have Coach Morrow join our staff this year. Al has over 40 years of rowing experience at all levels. As a rower, Morrow was a member of six National Rowing Teams from 1970 - 1976 and won a bronze medal in the Men's Four at the 1975 Pan American Games. He began coaching after the 1976 Olympics as head coach of the men's rowing team at University of British Columbia, then on to University of Victoria as head coach. In 1988, Morrow moved to the London Ontario National Rowing Team Training Center, and became head coach of the Canadian women's rowing team in 1990. Under Morrow's leadership, Canadian rowers won a combined 15 World Championships and 8 Olympic medals - 4 Gold, 1 Silver and 3 Bronze at the 1992, 1996, 2000, and 2008 Olympic Games. Friendly and personable, Morrow has been able to keep an impressively low profile while motivating countless Canadian athletes to inspiring results over four decades of coaching. Morrow was awarded the Canada Meritorious Service Medal by the Governor General in 1995. He is inducted into eight sport halls of fame, including London’s and Western’s, and was named coach of the year by the International Rowing Federation in 1999. Lately, Morrow spearheaded the RCA’s coach mentorship program, establishing support for up-and-coming Canadian coaches with opportunities to improve their skills, knowledge and experience both on and off the water. Pete is a Certified Strength and Conditioning Specialist (CSCS) through the National Strength and Conditioning Association, and a Certified Functional Strength Coach (CFSC) through Mike Boyle’s nationally recognized Strength and Conditioning program for high school, college, professional and masters athletes. This will be Pete’s seventh year as the onsite functional mobility coach at Northeast Rowing Center. Pete has also enjoyed being an on-the-water coach at Northeast, in previous years. Before becoming a strength coach, Pete spent 20 years as the head rowing coach at the University of New Hampshire. During his tenure, Pete’s crews claimed titles in heavyweight and lightweight divisions at the New England Championships and the ECAC Championship Regatta. In total, UNH’s crews won thirty medals at the New Englands, during his twenty years of head coaching. Pete twice received coach-of-the-year awards from the New Englands and the ECAC. Pete’s coaching began as an intern at Brown University, where his four claimed the bronze medal at the IRA. Pete’s rowing career began at Brown University and was highlighted by winning the Varsity Challenge Cup at the IRA Regatta and competing internationally at the Henley Royal Regatta. Pete continues to enjoy rowing and training, and he also enjoys skiing, hiking, and camping. Pete lives in New Hampshire with his wife and two children. He is currently a personal trainer and bootcamp instructor at Wildcat Fitness. Lizzie Kinney enters her first season as assistant coach and recruiting coordinator for the Bates College men’s rowing program. Prior to this role, Kinney served as the volunteer assistant for two years with both the men’s and women’s rowing teams at Bates and helped lead the women to its second NCAA Championship in 2017. Before joining the Bates staff, Kinney worked as an assistant coach at the Waynflete School in Portland, ME. During her two years with the program, the team earned first place at the Maine Youth Rowing Association Championships in 2014 and 2015. Kinney graduated from the University of Vermont in 2012 with a bachelor’s degree in Recreation Management. She was a member of the UVM rowing team which earned her 1st place at New England’s her freshman year in the Novice 8. During her free time, Kinney enjoys sailing and skiing. Most recently, she spent her summer months completing a trans-Atlantic sailing trip to the Azores. Coach Perkins joins us for the second time, this year as our Erg Coach. Perkins is in his third season at BU, bringing extensive experience competing at the highest levels of NCAA and international rowing. A four-time IRA National Championship Team member, Perkins was named an assistant coach of the Boston University men's rowing team in July, 2016. Perkins is a 2015 graduate of the University of Washington where he was a member of the Huskies' 2012, 2013, 2014 and 2015 division I National Championship teams. The Westport, Conn. native works closely with head coach Tom Bohrer and associate head coach John Lindberg in the training of all team athletes and also assists in the team's recruiting efforts and day-to-day operations of the team. During his collegiate career at Washington, Perkins sat in the stroke seat for the Huskies' varsity eight boat that won the grand final at the IRAs in his sophomore, junior and senior seasons and was also a four-time Henley Royal Regatta Finalist. Coach Mandel joins the Northeast Rowing Center coaching staff for the first time this year. Returning to the collegiate coaching ranks at Williams following a very successful 10-year run as the boys’ head coach at Gonzaga College High School, Mandel brings a wide range of experience. He has also been a regular speaker at USRowing coaching conferences. While at Gonzaga, Mandel led the boys’ Varsity Eight to four Scholastic Rowing Association of America national titles (2009, 2012, 2014 & 2015) and the Gonzaga Second Varsity Eight to national titles in 2012 and 2015. Additionally, Mandel led the Gonzaga boys Varsity Eight to a record-tying five consecutive Stotesbury Cup Championships from 2012 to 2016. The Second Varsity Eight captured Stotesbury titles in 2011, 2013, 2014 and 2017. Mandel's first collegiate coaching opportunity was from 1999-2001 when he coached the Varsity men's team at Skidmore College. His next collegiate stint was at Florida Institute of Technology from 2001-05, where he guided the Division II program's men's Varsity Heavyweight Eight to a silver medal at the 2005 Dad Vail Championships. In August of 2005 until June of 2008 Mandel served as the coach of the Men's Freshman Heavyweight program at Georgetown University, where he coached experienced and novice rowers. The 2006 and 2007 Hoyas were ranked in the top 12 nationally at collegiate rowing's highest level of competition. Mandel was a four-year member and captain of men's crew at Northwestern University, graduating in 1998 with a B.A. in History. In 2012 Mandel earned a Master of Business Administration degree from the McDonough School of Business at Georgetown University. Mandel, his wife Jessie, son Benjamin, and daughter Eliza will reside in Williamstown. Kayleigh is our dedicated Coxswain Coach. In addition to our full program, coxswains have the opportunity to delve deeply into coxing skills, rigging, the latest in coxing technology, technique, race strategy and more. Follow Kayleigh on “Ready All Row,” her very informative blog for coxswains. Kayleigh joined the Columbia rowing programs in 2017 as the Director of Operations after spending three years as the coxswain coach and volunteer assistant with the heavyweight men's program at MIT. She began coxing as a freshman at Marietta High School in Marietta, Ohio in 2002 before joining the Syracuse University women's program in 2006. In 2008, she transferred to Ohio State to complete her bachelor's degree in Sport Science and Human Performance. As a senior, Durm was offered an internship with the fifth-ranked Buckeyes football team, where she worked alongside the strength and conditioning staff during the 2010-2011 season that ended with a win at the Allstate Sugar Bowl. In 2012, Durm saw an opportunity to capitalize on the lack of relevant resources pertaining to coxswain education and launched "Ready all, row...," a blog that acts as the go-to reference site for coxswains at the junior, collegiate, and pre-elite levels. She regularly answers questions and creates original content aimed at teaching coxswains everything they need to know but are not taught when they first start out in the sport. Purely through word of mouth, in the last five years the readership has grown to nearly 30,000 hits per month from over 80 countries. In addition to her work on her own site, she's also a featured columnist in COXING Magazine. Ohio Wesleyan University has decided to start a women’s rowing program, and they have selected Andriel Doolittle to get it off the ground. We are excited for Coach Doolittle as she prepares for the first year of intercollegiate women’s rowing at Ohio Wesleyan University in 2018-2019. "I'm looking forward to getting everything set up and recruiting the first class of Ohio Wesleyan rowing." Doolittle spent four years as the assistant women's rowing coach and recruiting coordinator at Bates. She helped coach the Bobcats to NCAA Division III national championships in 2015 and 2017. The 2016 Bobcats finished second nationally, with the second varsity 8+ winning its race and the first varsity 8+ placing fourth. She also helped coach the first and second varsity 8+’s to first-place finishes at the New England Championships and East Coast Athletic Conference championship in each of her 3 seasons. The Bates coaching staff was named “Division III Staff of the Year” by the Collegiate Rowing Coaches Association in 2015 and 2017. In the fall 2017 season, the Bobcats' varsity 8+ finished first and set a course record at the Head of the Charles Regatta, with the second varsity 8+ placing fifth in the race. Doolittle began her coaching career at Wesleyan (Conn.) University, where she served as an assistant coach for 2 seasons. She helped guide the Cardinals to an NCAA Division III championship appearance in 2014 while earning a Masters degree and completing a two-year stint as a teaching assistant. A 2012 graduate of UConn, Doolittle left behind careers in softball and basketball to pursue her new love for rowing. Andriel distinguished herself by earning four varsity letters, All-Big East Second Team honors, and being named the Huskies’ captain her senior year. Mike Irwin joins us this year for the second time and will lead our coaching education program. He is in his sixth season as head men’s rowing coach at Saint Joseph’s University and possesses a wealth of collegiate coaching experience and involvement with the U.S. National Team. Irwin was a boatman for the United States National Team at the 2004 and 2008 Olympic Games, and was a member of the U.S. National Team staff for a total of five World Championships, dating back to 1999. “Mike and his proven track record, both internationally and collegiate, will be a great asset for the Hawk rowing program. I wish Mike all the best and congratulate Saint Joseph’s on hiring such an accomplished quality leader,” said Mike Teti, the current University of California coach and former U.S. National Team coach, who is a member of the SJU Athletics Hall of Fame. Coach Irwin’s college coaching career has spanned more than 20 years, including seven seasons (2002 to 2009) at the University of Pennsylvania as the men’s lightweight head coach and director of boathouse operations. He also coached for seven years at Yale University, working first with the freshman lightweight crew and then the freshman heavyweight crew. While at Penn, Irwin was named the 2005 EARC Lightweight Coach of the Year as he guided the Quakers a bronze medal at the IRA Championships. In 2002, he led Yale’s freshman heavyweight crew to a bronze medal in the Eastern Sprints, while in 1999, his freshman Lightweight crew at Yale captured two Eastern Sprints gold medals and went undefeated. In addition to his duties at Penn, Irwin was very involved in Philadelphia rowing, having served as the head coach of both the Fairmount Rowing Association Master’s Program and the Vesper Boat Club Senior Rowing Program. Irwin began his coaching career as the novice coach at his alma mater, Trinity College, after graduating in 1991. A native of Buffalo, N.Y., he earned a business essentials certificate in 2007 from the University of Pennsylvania’s Wharton School. John Lindberg returns for his eighth season on head coach Tom Bohrer’s staff. He helped guide the Terriers to a seventh-place team finish at the 2016 IRA Regatta. During the 2015-16 season, BU advanced two boats to the IRA Grand Finals and two boats to the IRA Petite Finals, accumulating 126 team points to finish seventh at the National Championship Regatta. At the 2016 Eastern Sprints, Lindberg helped lead the Terriers second varsity eight boat to a bronze medal, the second-consecutive year the 2V medaled at Sprints. In the 2014-15 season, Linberg helped Boston University win the programs' first IRA National Championship Regatta medal in eights rowing when the Terriers' second varsity eight boat won bronze, finishing ahead of perennial national powers California, Yale, Brown and Harvard. Lindberg also helped lead BU’s second varsity eight boat to a silver medal at the 2015 Eastern Sprints. The silver medal was the first for a second varsity eight boat at Eastern Sprints in program history. During the 2013-14 season, BU advanced two boats to the IRA Grand Finals and two boats to the IRA Petite Finals, accumulating 128 team points to finish sixth at the National Championship Regatta. The Terriers also won the annual IRA Chapman Award given to the team with the largest increase in points over the previous year. BU totaled 77 points in 2013 compared to 128 in 2014 for a 51 point increase, beating out second-place Yale which had 41. During the 2012-13 season, BU finished tied for third at the Eastern Sprints with their V4, V8, 2V8 and 3V8 boats all advancing to the Grand Finals. The Terriers earned an impressive 22 points, tied for third most on the day and two shy of the program record set in 2005. During the 2011-12 season, BU won the Petite Final at the Eastern Sprints, finishing ahead of Wisconsin after an earlier loss to the Badgers in the season. The Terriers also topped Dartmouth, Yale, Syracuse and Columbia for the victory and followed with an eighth-place result at the IRAs, missing out on the Petite Final victory by just 0.39 seconds. During the 2010-11 season, the Terriers placed fifth in the Grand Final in the freshman eight race for the program’s best performance ever at the IRAs after finishing sixth in 1986 and 2005. The boat missed out on a medal by 2.2 seconds and fourth by 0.293 seconds. Weeks earlier, BU reached its second consecutive Grand Final at the Sprints and placed sixth overall. Three members of that boat would help the Terriers reach the Grand Final at the 2012 IRAs. Recording an undefeated dual-season record in 2010, the freshmen finished fourth at the 2010 Eastern Sprints, their best result in over 40 years at Boston University. They missed out on a Grand Final appearance at the IRAs by 0.244 seconds but came back the following day to win the Petite Final. Having over 20 years of experience at both the Division I collegiate and high school levels, Lindberg joined head coach Thomas Bohrer’s staff full-time after volunteering in 2009 with the Terriers. Prior to his work at BU, John headed up recruiting efforts and the freshman team at Northeastern for more than three years, enjoying medal-producing performances by the squads. He also served as a coach for the U.S. U23 World Championship competition. First introduced to the sport of rowing as a student at St. Paul’s School in Concord, New Hampshire, John was coached by master coach Rich Davis. Winning the Princess Elizabeth Cup as a member of the St. Paul’s eight at the Henley Royal Regatta was one of the highlights of his early rowing experience. John continued rowing as an undergraduate at Brown University under the guidance of legendary coach Steve Gladstone. He subsequently represented the United States in the double sculls event at the 1991 Pan Am Games in Havana, Cuba, and continues to compete in masters sculling events. John and his wife Maria have two young boys, Kurt and Carl. Returning to Northeast Rowing center for her 15th year, Kate Maloney is one of our veteran coaches. Maloney begins her seventh year as the Women’s Varsity Coach at Williams College. She has gotten off to a great start winning the Division III NCAA Women’s Rowing Championship three of those years! This follows a nine year stint as Yale’s Assistant Women’s Coach. While at Yale, Maloney’s 2009 Yale crew won the Eastern Sprints title, a first for Yale since 1987. Maloney was named the 2007 CRCA New England Assistant Coach of the Year. Maloney has coached rowing at every level from high school to college to masters. Her collegiate coaching career began at Northeastern University as the second assistant in 2002-03 working mostly with the third varsity before joining the Yale staff. Kate began her rowing career at Mt. Baker and continued her racing at the University of Washington in Seattle where she started an impressive string of four undefeated regular seasons and four Pac-10 Championships. In 1997, Maloney began a string of World Championship performances. She raced in the USA 4- finishing 4th, and in 1998 she was in the USA 8+ that won a silver medal. In 1999 again she won a silver medal with the USA 8+. Finally, Maloney finished her competitive racing career at the Sydney 2000 Olympics where she rowed in the USA 8+. Holly Metcalf returns to the Northeast Rowing Center for her seventh season. She was recently honored by being inducted into the inaugural class of the Mt. Holyoke Sports Hall of Fame and was honored as the 2017 Patriot League Coach of the Year. 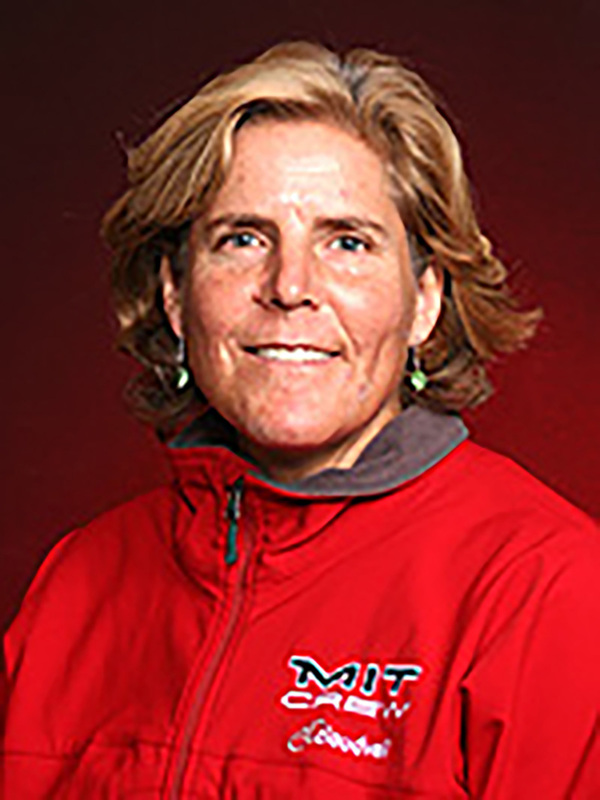 Holly Metcalf is in her eleventh season as head coach for the MIT openweight women. She has transformed the program from a struggling Division I squad into a team that is competitive within the Eastern Sprints, as well as its new conference, the Patriot League, where the Engineers’ varsity 8 squad has regularly found itself in the Grand Final. Additionally, in every year under Metcalf the team has earned Public Recognition Awards from the NCAA for its exceptional academic performance. Metcalf was a six-time member of the U.S. National Team and won five World Championship and Olympic medals. At the 1984 Olympics she captured the Gold Medal in the women’s eight. She has coached extensively at the club, college, and national team levels. Metcalf also directed the Silver Medal winning crew at the 1990 World Championships. More recently, Metcalf used rowing to enrich the lives of hundreds of women and girls through a variety of non-profit programs. In 1994, she founded the Row As One Institute, which provides masters women with top-level coaching. She extended this concept to inner-city girls in 1996 with her G-ROW program in Watertown, Massachusetts. Six years later Metcalf established WeCanRow, a wellness and rehabilitation organization for female cancer survivors, which recently evolved into WeCanRow National. Coach Tessa Spillane joins us for the first time this year. The 2015-16 Division III National Coach of the Year, Head Crew Coach and PERA Associate Professor of the Practice Spillane has been at the helm of the Blue Crew program since the 2005-06 season. In 2016, she guided the Blue to the first NCAA Division III National Championship in school and program history. She also saw the Blue win the overall points trophy at the New England Rowing Championships for the first time and was awarded with the National Invitational Rowing Championship Coach of the Year and 24th Annual Joy of Sculling Coaching Conference College Coach of the Year honors in 2016. Spillane was presened with USRowing's Ernestine Bayer 'Woman of the Year' Award on December 3, 2016. The award recognizes outstanding contributions to women's rowing and/or to an outstanding woman in rowing. Spillane is the first NCAA Division III Women's Rowing Coach to earn the award since its inception in 1982. The camp is open to any and all entrants, limited only by number, age, grade level and/or gender.